This Chromecast and Google Home Mini lets you control television with your voice. To connect Google Home to Chromecast all you need is a Google Chromecast plugged into an available HDMI port on your television and the Google Home app (on iOS or Android) for Chromecast to interface with. Before you begin, you’ll need to make sure your Chromecast is set up to work with your television and Wi-Fi network. Follow these instructions to do so. You’ll also want to make sure you have your Google Home device set up on the same network. Tap the Menu icon, then More settings to add Chromecast to Google Home. 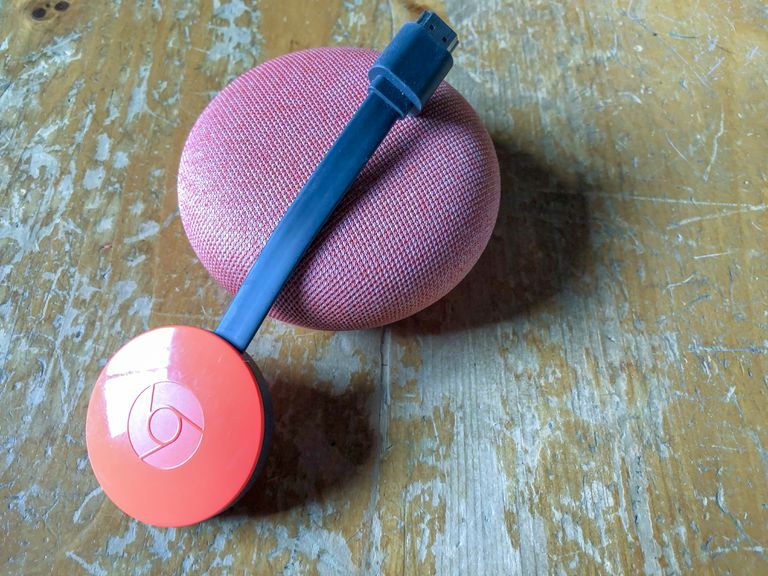 Now you’ll want to make sure your Google Home (Mini, or Max) device is able to connect to your Chromecast device. First, connect your Android phone or iPhone to the same Wi-Fi network as your Google Home and Chromecast. Then, launch the Google Home app on your device. In the top left corner of the app’s Home screen, tap on the Menu icon. Make sure you’re using the same Google account that you set up on your Google Home smart speaker. You can switch accounts with a tap to the downward-facing triangle to the right of the account name. Next, tap More settings, then TVs and Speakers. You should see a list of all your currently linked devices. To add a new one (or your first), tap on the big Plus icon in the lower right of your screen. If you’ve set up your Chromecast correctly, you should see the new device in the resulting list. It’s fairly easy to connect Google Home to Chromecast. To add it to Google Home, simply tap the checkbox next to the device name, then tap Add. Now you’re set to start using the Google Home app for Chromecast. Google Home keeps track of your voice activity for later reference. You can, of course, control your Chromecast with the Google Home app, but using voice commands is much faster and more convenient. Activating Google Home with your voice requires a catchphrase, either “Hey Google” or “OK Google.” Then you can voice whatever command you want from there. If you have multiple Chromecast devices, you’ll also have to specify which one you want the video to play on. We’ve denoted this below with brackets. Here's an example: “Hey Google, play My Next Guest Needs No Introduction on <my Chromecast name>.” The first phrase would be whatever show you want to watch, while the bracketed phrase is the literal name of your connected device. Other services like YouTube also let you play videos with your voice. Try saying “Play Fred Armisen Texas accents on <my Chromecast>” or "Play Adele videos on <my Chromecast>” after you use the activation phrase. If you want to specify a video on YouTube (or any other connected service), simply add "on <YouTube>" at the end of your command. If the volume of your TV needs adjusting, simply say “Set <my Chromecast> volume to 50 percent,” or “Volume down on <my Chromecast>. If you want to mute it altogether, simply say “Mute <my Chromecast>.” You can follow that up with “Unmute <my Chromecast>” when you’re ready for the sound to come on again. You can even turn your TV off and on if your TV has HDMI Consumer Electronics Control (or HDMI CEC). Just say “Hey Google, turn on <my Chromecast>."